Talk to our dentist and talented team to learn how you can keep your teeth healthy and beautiful. Click here to learn more about Dr. Rowe and his talented team! We welcome you to contact us via phone or email. 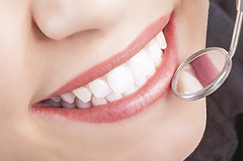 Find out why so many patients in Ft. Pierce turn to our dentist first! Fort Pierce has a long and rich history, and our dental practice is no exception. Our story goes all the way back to 1912, when our dentist's great-grandfather established his dental practice in Ft. Pierce. Since then, the Rowe family has proudly carried on the tradition of customized family dentistry to this day. In 1959, Dr. Phil Rowe began a practice of his own in downtown Fort Pierce. Samuel V. Rowe, DMD joined in 1985 and continues to serve the Treasure Coast with the same exceptional dentistry the residents of Ft. Pierce have come to know and trust. At the office of Samuel V. Rowe, DMD, we are pleased to serve patients of all ages with comprehensive general and cosmetic dentistry. Whether you're looking for crowns, veneers, fillings or anything in between, we will be happy to tailor our services to meet your needs. Dr. Rowe and his talented team have one rule: put the patient first. Our dentist adds a personal touch to every dental procedure, treating each patient with respect and care. Our practice is located in Fort Pierce and proudly serves the Treasure Coast, Vero Beach, Okeechobee and surrounding areas. We welcome you to explore our website and learn more about our dentist, our staff and the services we offer. Please contact us to get more information or to schedule your first appointment. We look forward to hearing from you!